The hit musical inspired by the life of rock legend Marc Bolan, 20th Century Boy, returned to the stage in March on a UK-wide tour to mark the 40th anniversary of the iconic star’s untimely death. 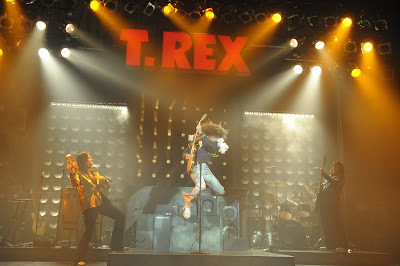 It opened on 8th March at G-Live in Guildford. 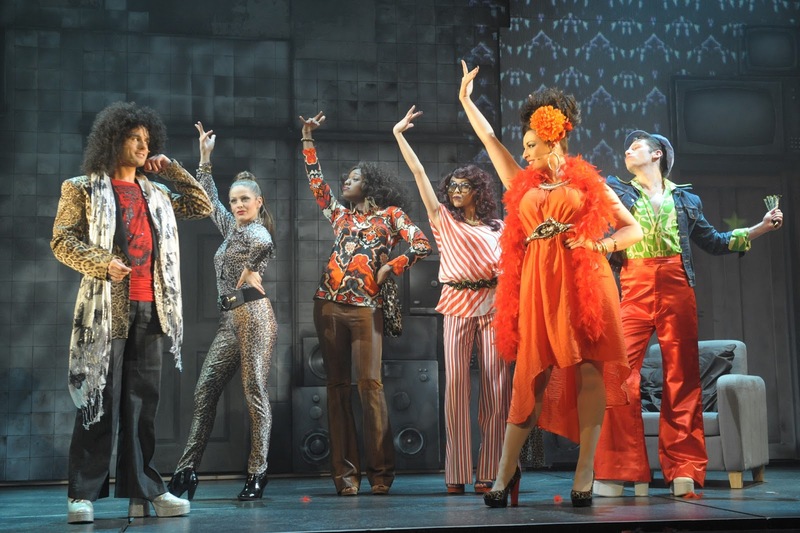 The production will enjoy a 20-week tour, visiting 27 theatres through to Saturday 30 June. At his peak, Bolan was arguably the biggest rock star the UK had ever seen. 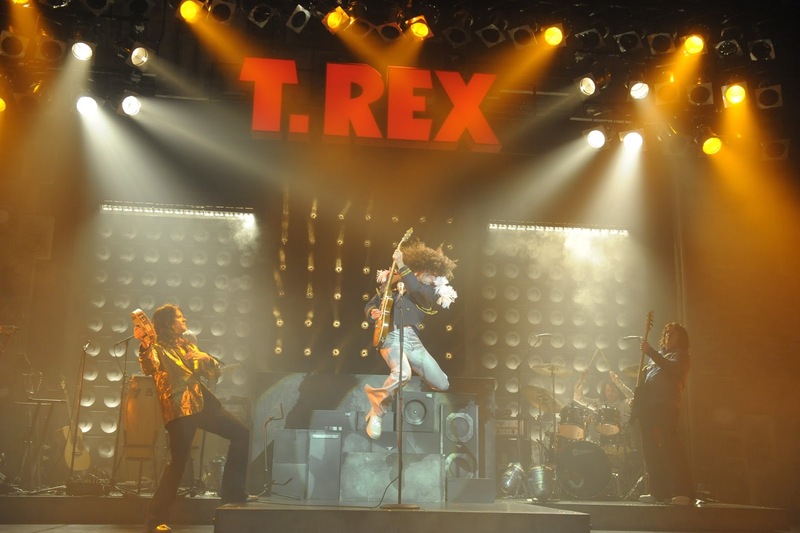 Rocker, poet, electric warrior, king of glam and godfather of punk – Marc Bolan became a superstar and the press dubbed him “Bigger than the Beatles”. 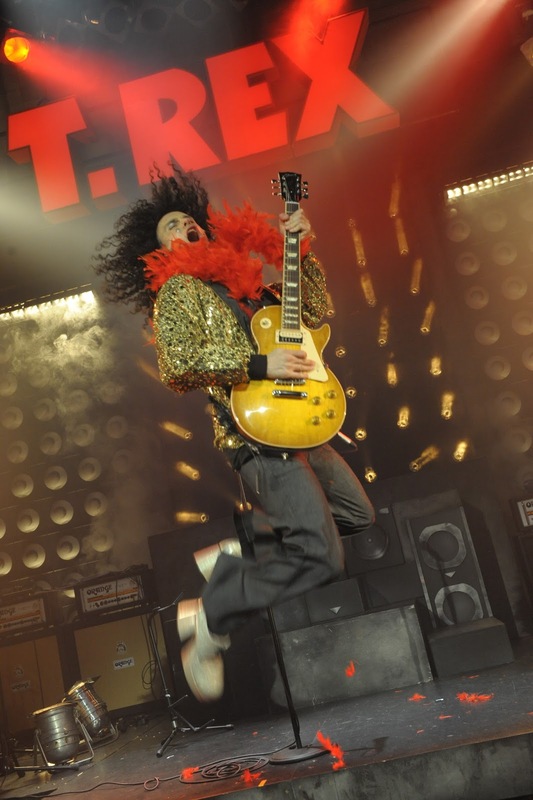 Before his tragic death in 1977, a few days short of his 30th birthday, Bolan lived life at breakneck speed, creating a series of iconic images, a string of number one hits and an army of obsessive fans. 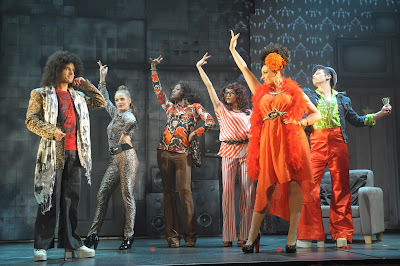 20th Century Boy is a glorious celebration of glam rock at its colourful best! 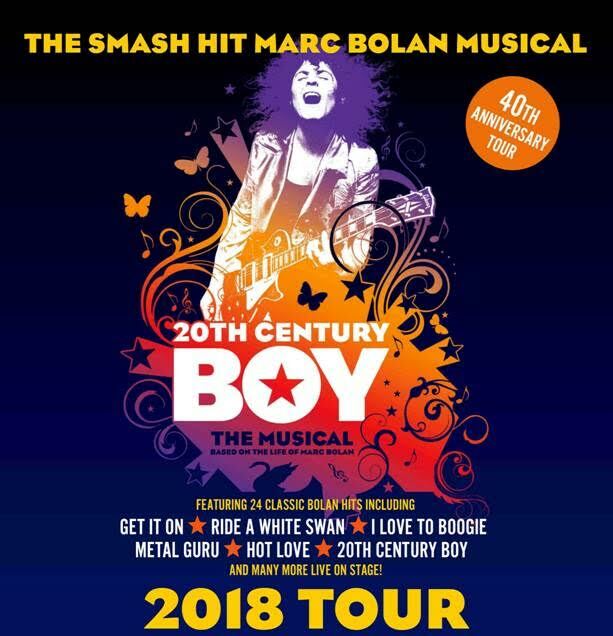 Following critical acclaim for his previous portrayal of Marc Bolan in the show’s highly successful runs, Olivier Award winning West End star George Maguire returns to lead the cast of 20th Century Boy.